GeometryGym has implemented an exporter for Karamba (Grasshopper Structural Analysis plug-in) to IFC. The data can then be used to import into commercial structural analysis software such as GSA, SAP2000, Robot, Sofistik, SCIA, etc. Often projects have clients that mandate particular commercial software (or require software to be certified). 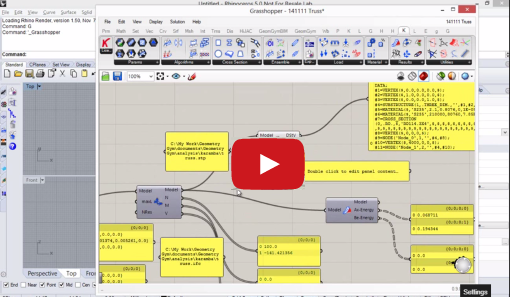 Directly exporting the Karamba database saves users from manually rebuilding the model in alternative software (or maintaining duplicates of components within Grasshopper). This could also easily be used for RhinoBIM, and potentially visualArq (if desired to provide functionality for engineers). And structural analysis is only one aspect. IFC is also capable of conveying other types of analytic information such as energy, environmental, MEP and simulations such as pedestrians.